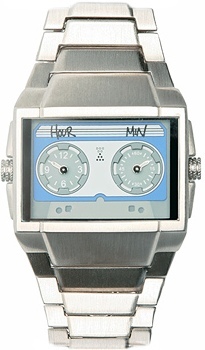 I’ve written before about both my love of good (preferably large) watches and my nostalgia for cassette tapes, and here’s a design that brings them both together with a dash of style. It’s available for ? ?35.00 (around $69) from Asos, who for some strange reason have it in the men’s section of their website… Hey Asos, girls can be geeks too, y’know!